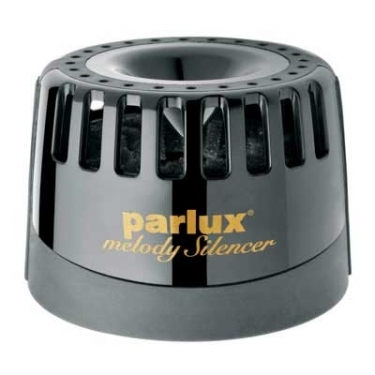 Melody Silencer is a Parlux hair accessory to attach to your hair dryer and significantly reduce the noise. Small, light and easy to use. Parlux research labs developed an advanced technology patent that allows exceptional results in eliminating sound waves. Small, light and easy to use it allows a hair styling experience like no other! Besides reducing unwanted noise and highly shock resistant, it maintains the filter clean.